Russia’s counterintelligence agency has detained a CIA agent in Moscow trying to recruit an officer of the Russian secret service, the Federal Security Service (FSB) announced. The agent was operating under guise of career diplomat. 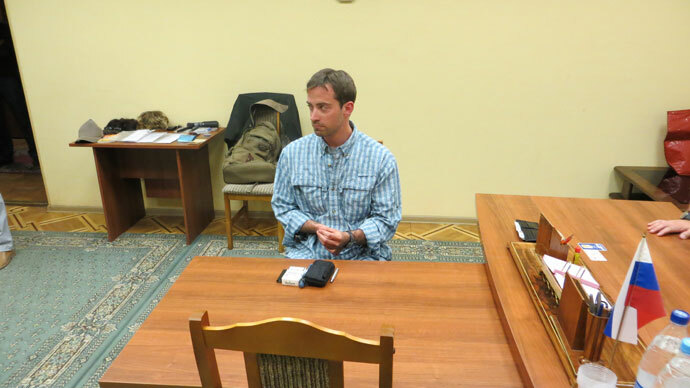 The FSB Public Relations Center has announced that the person detained is Ryan Christopher Fogle, the third secretary of the Political Section of the American embassy in Moscow. The agency stressed that Christopher had special technical equipment, printed instructions for the Russian citizen being recruited, a large sum of money and means to change the person’s appearance. The detainee was delivered to the FSB receiving office where he has been questioned and after all the necessary procedures he has been handed over to representatives of the US embassy in Moscow. US Ambassador to the Russian Federation Michael McFaul refused to comment on the detention of his subordinate for espionage activities. On his Twitter account he simply wrote ‘no’ answering a question about Ryan Fogle. But tomorrow he will definitely have to have an answer to the Russian Foreign Ministry, where he has been summoned to give an explanation concerning the incident.